Tata made a comeback in the hatchback category with Tiago. The brand needed fresh styling and a trustworthy product to achieve its lost place in the industry. The hatch comes with a ground clearance of 165 mm, which is pretty decent for a hatch at this price. It can tackle the Indian roads well, and doesn’t cause discomfort due to bumps and unleveled road conditions. 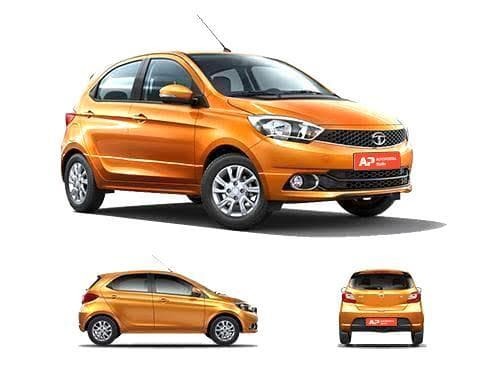 Compare ground clearance of Tata Tiago with its immediate competitors. Ground clearance of Tata Tiago competes directly with Maruti Suzuki Alto 800, Hyundai Grand i10, Maruti Suzuki Celerio, and Renault Kwid. Put straight, any ground clearance crossing 170mm is considered to be decent, whereas, in case the ground clearance of a car is below 160mm, it's not good for Indian roads. Another thing that should be considered while making a buying decision is that cars with ground clearance of less than 160mm would be fine if the intended driving terrain doesn't have any bumps. Think of what sort of roads do you have in your locality and at your expected visits, then zero down your purchase.